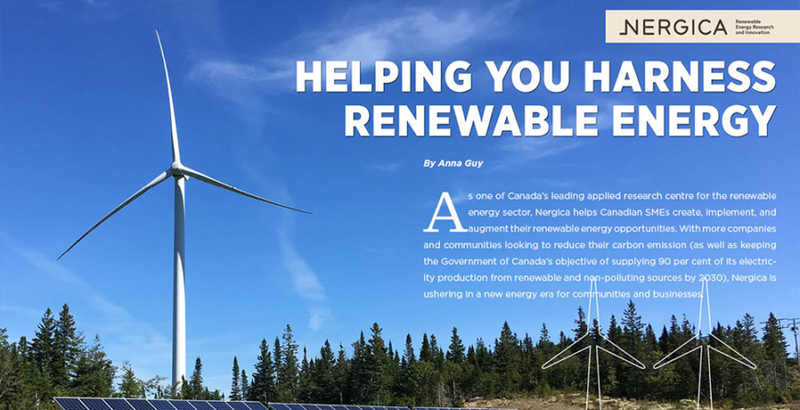 As one of Canada’s leading applied research centre for the renewable energy sector, Nergica helps Canadian SMEs create, implement, and augment their renewable energy opportunities. With more companies and communities looking to reduce their carbon emission (as well as keeping the Government of Canada’s objective of supplying 90 per cent of its electricity production from renewable and non-polluting sources by 2030), Nergica is ushering in a new energy era for communities and businesses. 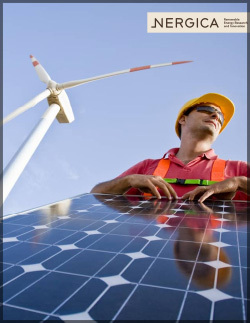 The services of Nergica’s research, technical assistance, technology transfer and technical support enables Canadian businesses and communities to develop solutions for renewable energy integration, optimizing wind farm and solar array performance to commercialize their renewable energy innovations. By partnering with Nergica, they are partnering with a fully-functioning renewable energy test site unique to anywhere in Canada, comprising a hybrid microgrid (wind-solar PV-diesel) and various energy storage technologies, and an expert team ready to take on the challenges and opportunities of the Canadian landscape. Wind power, solar power and renewable energy integration round out Nergica’s three pillars of expertise. partners are operating their own wind or solar farms,” says Côté. “As our clients evolved to solar microgrids and various applications, we have worked alongside them in applied research and technological transfer,” says Côté, adding Nergica is currently increasing activities in the microgrid sector—specifically to reduce reliance on diesel fuel and increase reliance on with renewables. But it’s not just testing: Nergica also offers state-of-the-art predictive and preventive maintenance, collection and analysis of operational data, instrumentation, remote detection and telemetry, performance enhancement, and solar panel service for life for clients. “Our services cover all aspects of integrating these energy sources, from assessing the resource and boosting grid reliability to lowering costs and, of course, reducing greenhouse gas emissions,” says Côté.